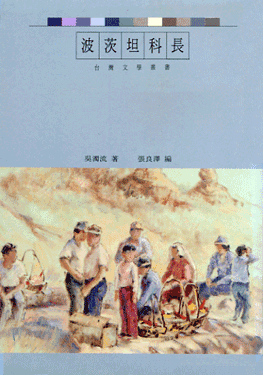 Potsdam Section Chief is another book which written by Wu Zhuolia (1990-1976) and published in 1948. The book also presents the colonised period of Taiwan, which was later than “Orphan of Asia” on the timeline. When Japan was defeated in world war two and return Taiwan to the Nationalist government, which was first Chinese government (R.O.C). In the story, Magnolia is a young woman who grows up in Taiwan. In the colonised rule of Japan, she influenced by Japanese culture and being taught to be a Japanese in the school. During the period, most islanders were encouraged working and do everything for the Japanese government, so they can get more benefit and win their respect. 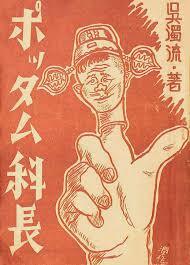 From a particular perspective, Magnolia had Japanese behaviour but was Chinese mentally. When the Nationalist government took over Taiwan, the Islanders ( Taiwanese) were expected the new government because they do not need to obey Japanese government anymore. Magnolia was also expecting and welcomes the Nationalist government, and believed this is the government, which they belong and could bring their freedom and hope. Magnolia started learning to speak Mandarin, also met a man who was a mainlander, and they fall in love and get married. Magnolia thought this was a happy marriage. However, she found that her husband not only a profiteer but also a traitor and corrupt after married to him. The man was not the one she expected at all. The story is also an intimate the situation of the islanders realised that the Nationalist government was not working efficiently and corruption, which was not what they expected. Wu Zhuolia(1993) Potsdam Section Chief. Taipei: VISTA publishing.